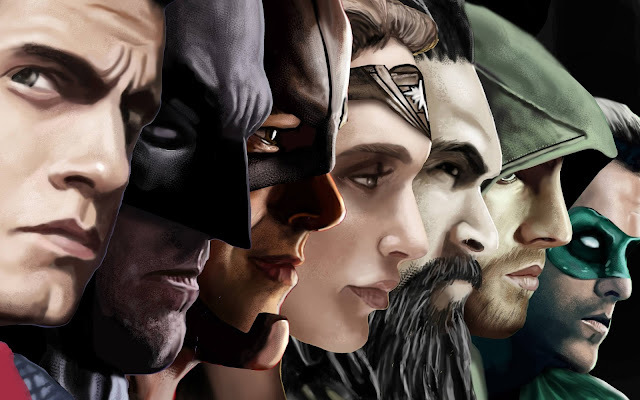 Home / Batman / Batman v Superman: Dawn of Justice / Justice League / Movies / Superman / Warner Bros. Pictures / Wonder Woman / Why Critics Won't Dare To Ruin Justice League After The Batman v Superman Backlash? Why Critics Won't Dare To Ruin Justice League After The Batman v Superman Backlash? It’s been a year now and this movie which was almost ruined by Rotten Tomatoes is still being watched and talked about. Batman V Superman: Dawn Of Justice became the most hated movie of all-time for the so-called critics but unfortunately their ridiculous rants couldn’t stop the indomitable spirit of the greatest superhero movie of the decade. Critics played the true Joker by challenging the intellect of the movie but they had no idea about the sleeping volcano that can annihilate them completely. Batman - The most iconic superhero of all time is surely DC's greatest bet. He is the perfect underdog with whom we can relate to. Batman is human unlike other superheroes and he is imperfect just like the humans while Superman is extremely powerful, and flawless. When two of the greatest heroes bump, there's no thunderstorm, there's only a reverberating hush and Batman V Superman reflects this perfectly. Batman V Superman disappointed the critics because this movie was not actually made for them. This movie is solely made for its fans. Only fans know the background of each character and why the director Zack Snyder made it a point to satisfy its huge fanbase with its dark premise. Unlike Marvel, DC is all about shadows after all life is not always colorful and amusing. Batman V Superman is not for kids because it's extremely philosophical. Only people with high intellect and comic book fans who grew up reading DC comics could understand this movie. Critics slammed this movie and came up with various flaws however they are equally attacked back by its fans for their ludicrous critical approach towards this movie that can be watched again and again for sure. Batman V Superman: Dawn of Justice will go down in the history as the most watched movie of all time because all the elements in the film are interconnected. This movie is the foundation of many great movies and the Zack Snyder did a great job in giving us a subtle hint of all the upcoming characters in this film. Batman V Superman avoids clichés and deals with a psychology that represents the soul of its fans. Critics treated this movie as an underperformer but this movie, just like a misunderstood underdog, came up victorious. The rewatchability of this movie is so high that people can't stop watching this movie on the Television. People who criticized this movie must be repenting as they are the ones who never tried to get into the soul of its characters and the background story. For Critics, this is only the beginning, Justice League is coming and you have the full freedom to tear down JL too but this time - think twice.